I recently watched the film “Mr. Turner,” a biopic from director Mike Leigh about the last 25 years in the life of British seascape painter HMW Turner. Although I love art, I must confess that I wasn’t too familiar with Turner’s work, as the majority of his collection is housed inside the Tate Britain, a museum that I have yet to visit. The movie suggested that Mr. Turner (played by Timothy Spall) was always composing art in his mind, and that he failed at most other aspects of life, including relationships, until he finally settled down with a widowed innkeeper late in life. The “script” for the film was conceived by Leigh yet was comprised largely of dialogue improvised by the cast during rehearsals prior to shooting. The result is a long movie of vignettes, some of them funny, linked by some of the most painterly cinematography I’ve seen in a film in a long time. Naturally, I started thinking. What are the best screen biographies to come out of Hollywood, or out of cinema in general? The aforementioned, at times aimless “Mr. Turner” wouldn’t quite make the cut, but the “artist” category no doubt produced at least one-half dozen contenders in a single sub-genre. Ditto for the categories of actor/actress, singer/musician, athlete, politician/war hero, physically/mentally challenged, etc. I attempted to include at least one film from each of the above sub-genres, and to take into consideration such forgotten, black-and-white gems as “The Life of Emile Zola,” as well as full-color, sure-to-be-modern-classics like “The Danish Girl.” On the flip side, I wondered which movies I should remove from consideration. Right off the bat I thought about movies that brand themselves as “biopics” but actually only focus on a very short time in their characters’ lives. Take 2014’s otherwise-excellent “Selma,” which focuses on MLK’s efforts to lead the march to Montgomery, but glosses over his rise to Civil Rights prominence and skips his transformative “I Have a Dream” speech altogether. Similarly, I disqualified films that feature real characters but focus on events rather than people. To be more specific, I eliminated dramas in the vein of “Schindler’s List.” Steven Spielberg’s Oscar-winning Holocaust drama is surely one of the greatest films ever made…but it is more about the triumph of good over evil than it is about one man’s life. Lawrence of Arabia (1962): This glorious film, winner of seven Oscars including Best Picture, is equal parts biography, war film, and desert adventure. T.E. Lawrence, that larger-than-life WWI-era British Army officer who lived among the Arabs like he was one of them, was a complicated man. Although he drove the Arabs to revolt against the Turks at Aqaba near the Red Sea, he was an insolent man who hated petty politics, despised being given orders, and was as driven mad by the desert as he was enamored with it. 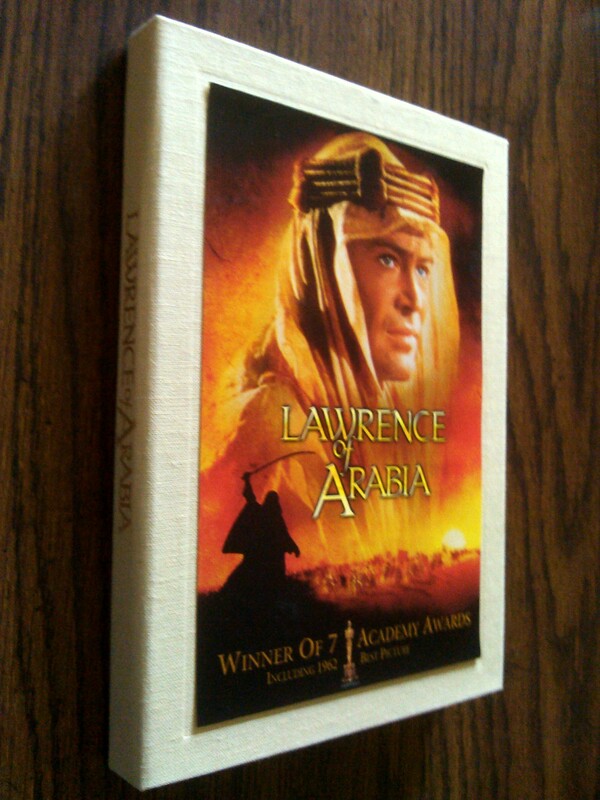 “Lawrence of Arabia” is packed to the gills with cinematic greatness; Steven Spielberg proclaimed the mirage scene and candle flicker-wipe-to-sunrise edit as “miracles.” For me, there are too many great moments to mention here, but just a few filmmaking highlights are Maurice Jarre’s epic score, Anthony Quinn’s scenery-chewing turn as Bedouin warrior Auda Abu Tayi, F.A. Young’s vibrant cinematography, the dramatic crossing-of-the-Nefud-Desert sequence, and Peter O’Toole’s piercing blue eyes and commanding performance in the title role; his is surely one of the great acting triumphs in film history. (And yet, Mr. O’Toole never won an acting Oscar – surely one of Hollywood’s greater slights.) Side note: the desert railway that Lawrence and the Arab’s detonate in the film was actually built by my paternal grandfather! Malcolm X (1992): This blistering piece of filmmaking follows the transformation of Nebraska-born, Harlem-raised Malcolm Little from womanizing thief and hustler to reformed ex-con to leader of the Nation of Islam to equal rights “by any means necessary” advocate to martyred Sunni Muslim and father el-Hajj Malik el-Shabazz, aka Malcolm X. Spike Lee directed with passion, but missed out on an Oscar nomination for Best Director, possibly after taking flack for encouraging African-American children to skip school to see this movie. Lee gets everything right, from the mood of the era to the paranoia that dogged Malcolm at every turn following his disassociation with the Nation of Islam. (In one memorable scene, we see Lee looking ahead, in exhaustion and confusion both, and the camera does a slow, roller coaster loop.) And then there’s Denzel. Washington acted with ferocity, and if he didn’t take home the Oscar for Best Actor in March of 1993, he at least took home the critics’ praises for giving the finest performance of the year. There really isn’t much more to say, except that while most movies grow dated with the passage of time, this one remains more urgent now than ever before. See it. Raging Bull (1980): The sports biography is a perennial favorite at the Oscars, and the boxing category, with its mano-a-mano dynamic, is a particular triumph. I never cared much for “Rocky,” even though its theme of going the distance is the stuff that feel good films are made of. See, I tend to hunger for something darker, so Martin Scorsese’s black-and-white biography of the rise and fall (and – sort of – rise again) of middleweight champion Jake LaMotta is more my thing. The temperamental palooka LaMotta talks and loves with his fists, not his heart, and ultimately destroys his relationships with those closest to him – namely, brother Joey and second wife Vickie (Joe Pesci and Cathy Moriarti, both newcomers and Oscar nominees). Make no mistake: “Raging Bull” is not an easy movie to like. That said, few deny its mastery in direction and craft – Scorsese and Robert DeNiro, who played LaMotta, reached career highs with this tough, tough film; DeNiro won the Oscar and his performance here is considered by many to be screen acting’s finest hour. Frida (2002): Although the life of Mexico City surrealist/folk artist Frida Kahlo was filled with unending sadness, the Julie Taymor-directed, Salma Hayek-starring biopic of her 46 years on earth is a breath of fresh air. For starters, it’s actually two biopics in one – that of Frida, of course, but also that of her husband, prolific Mexican muralist Diego Rivera! We learn so much about the public and private lives of these leftist, sexually-liberated artistas – including Diego’s dalliance with Russian politics and Frida’s flirtation with lesbianism – that we feel as if we are part of their inner circles. Additionally, the film is like an artist’s palette itself: awash in a kaleidoscope of colors and infused with otherworldy, Día de Muertos-touches of imagination that Frida herself would have appreciated. (Her post-bus accident surgery, in which doctors struggled to save her from paralysis, is portrayed as a nightmare of animatronic skeletons in surgical masks.) And the performances? Hayek, as the fiery Frida and Alfred Molina, as the bear-like Diego, match each other beat for beat. A triumph. Gandhi (1982): Eight Oscars were awarded to this stellar look into the life of Mohandas K. Gandhi, the pint-sized leader of the non-violent resistance movement that earned India its independence from England. It surely isn’t possible to make an all-encompassing movie about Gandhi’s inspirational life, but this 1982 effort, directed with love by Richard Attenborough, covers most bases in 191 minutes. When we first meet Gandhi, he is taking his daily walk, accompanied by wife Kasturba and hundreds of followers. What we don’t know is that this day, in 1948, will be his last. We will end up there again, but first we’ll flashback to see how the Mahatma (“Great Soul”) grew from an entitled lawyer in South Africa, thrown from a train for being a “coolie”, to becoming the embodiment of peaceful resistance. The long, but never boring, movie is peppered with interesting bits of insight into Indian culture and history; in one scene, Gandhi berates his wife (Rohini Hattangadi) for refusing to clean the latrine at their communal ashram, while in another, we witness the Raj-led massacre of peaceful Sikhs in the Punjab city of Amritsar. If I could nitpick, I would say that the film occasionally beatifies Gandhi, and gives too much screen time in the second half to a young Candace Bergen, who plays Life magazine photographer and holocaust documentarian Margaret Bourke-White. Bourke-White’s life would make for an excellent biopic in itself…but alas, this is Gandhi’s story. Patton (1970): “Patton,” which took home Oscars for Best Picture, Director (Franklin J. Schaffner), and Actor (George C. Scott, who famously declined the statuette), is an admirable, though slightly dated, look at the obsessive drive of WWII’s most notorious general. Poet, historian, animal lover, madman, four-star general George S. Patton was all of these things and more. The movie’s famous, oft-imitated opening scene features Patton in the center of the screen, an enormous American flag behind him, giving the sort of jingoistic speech of which John Wayne would approve. “We’re not just going to shoot the bastards,” he says, “We’re going to cut out their living guts and use them to grease the treads of our tanks.” Indeed, the egomaniacal general, who in one of the next scenes pins a third star on his lapel before it is even awarded to him, was happiest on the battlefield, be it during World War II or during the battle of Carthage, where he imagined himself as a great commander so many centuries before. In general, Schaffner’s biopic follows a three-act structure, with Act I detailing Patton’s exploits in Tunisia, Act II following his unconventional command in Sicily, where he was famously sidelined after slapping a shell-shocked soldier, and Act III following his command of Allied troops into the snowy Ardennes. Lincoln (2012): I almost omitted this film from the list, as it really only focuses on the last few months in the presidency – and life – of Abraham Lincoln. But although the movie specifically details the moral debate and political machinations of Honest Abe and his fellow Civil War politicos of that day regarding whether or not to ban slavery and sign the 13th Amendment, it is still very much a biopic in that we learn much about Lincoln through important interactions with his wife Mary Todd (Sally Field) and sons Robert (Joseph Gordon-Levitt) and Tad (Gulliver McGrath). Additionally, we are exposed to Lincoln’s skill as a plain-spoken, reedy-voiced humorist and storyteller, and those intimate details are very telling. Watching “Lincoln,” with its towering lead performance by Daniel Day-Lewis and its well-researched screenplay by Tony Kushner, we feel as if we’ve known the man our whole lives. Folksy yet oratory, stooped yet imposing, he was surely our greatest president. Sergeant York (1941): This is the oldest film on this list, but also the one that is freshest in my mind, as I happened to stumble across it on TCM just a few weeks ago. Seventy-four years after its release, it remains an extraordinary movie about the ultimate Everyman. Alvin C. York was, as the saying goes, a “backwoods Tennessee hillbilly” in every sense of the word. The shotgun-wielding, whiskey-swilling York was a pretty good farmer when he wasn’t on the sauce, but he had little use for religion until an alcohol-fueled, spiritual rebirth turned him into an honorable man of conviction – a pacifist who had to put his new life on hold after the World War I draft board came calling. His turkey shooting past saw him quickly promoted to sergeant at basic training, and his clean living and clear thinking served him well when, during the Meuse-Argonne Offensive of 1918, he single-handedly forces 132 German soldiers to surrender. Hero stories don’t get any better than this, especially not when the stoic Gary Cooper, who won his first of two Oscars for the role as Sergeant York, is in the lead. The Imitation Game (2014): I mentioned 2014’s film “Mr. Turner” at the beginning of this blog post. A better period biopic about a fellow Brit was released that same year as well…and it is outstanding in every regard. I am referring to “The Imitation Game,” which pays tribute to the complicated life and world-changing work of Alan Turing, whose work leading a team of scientists building the Enigma machine led to the breaking of Nazi codes during World War II, ultimately allowing the Allies to win the war and save millions of lives. As part of the film’s emotional coda, we learn that “Turing machines” are called “computers” today. Benedict Cumberbatch, who should have won the Oscar for Best Actor, plays Turing as humorless, arrogant, closeted, persecuted, and fiercely determined. The screenplay, which did win an Oscar, is nuanced yet broad, intricately-structured yet understandable, subtle yet daring. Born on the Fourth of July (1989): Director Oliver Stone’s 1986 combat-heavy Vietnam War film “Platoon” won four Oscars, including Best Picture. His 1989 follow-up, “BOTFOJ,” deals with attitudes to the war not just on the front lines but back home as well, asks tougher questions, and is actually the better movie. “A true story of innocence lost and courage found,” reads the poster, and said loss of innocence happens to clean-cut Massapequa, Long Island wrestler and grocery store stock boy Ron Kovic (Tom Cruise), who enlists for Vietnam out of a sense of patriotic duty. After participating in a series of horrors, including a friendly fire incident during which he accidentally shoots a fellow American, Kovic takes a few bullets and is paralyzed from the waist down. His return home is marred by protest and disillusionment, and the once idealistic Kovic spirals into a sea of alcoholism and despair before emerging as one of the era’s most relatable activists. As a movie, “BOTFOJ” is a tough film, in-your-face and often hard to watch. But then, director Oliver Stone, who won his second directorial Oscar for the movie, is never subtle, and his urgent style works to the film’s benefit. This is a movie for our time, with Vietnam standing in for Iraq, and with a young Cruise, still a matinee idol today at age 53, delivering a performance so committed that you simply cannot envision anyone else in the role. What are some other screen biographies that I enjoyed, you ask? Last year’s “Love and Mercy,” an unconventional peek into the psyche of Beach Boy Brian Wilson, was as stellar as that year’s higher-grossing, similarly-themed “Straight Outta Compton”…and it featured my L.A. friend Jeff Galfer in a small role. “Walk the Line,” which was released in 2005 and which earned Reese Witherspoon an Oscar, re-introduced the world to the Man in Black, Johnny Cash (a committed Joaquin Phoenix). “Amadeus,” which won eight Oscars in 1985, tells its tale via flashbacks, and is really two biographies in one – that of disciplined maestro Antonio Scalieri (F. Murray Abraham), and that of his professional rival, the immature, but ever-more-talented, Wolfgang Amadeus Mozart (Tom Hulce). Another multiple Oscar winner, “12 Years a Slave” is the harrowing, true life tale from 2013 about the wrongful indentured servitude forced upon free New York violinist Solomon Northup (Chiwetel Ejiofor). Alas, those are just a few. What are yours? I enjoyed Mr. Turner too. I actually and unfortunately haven’t seen most of the ones in your list, and I did love Amadeus. Here are my additions: The Theory of Everything (2014), Milk (2008), Secretariat (2010) does it count if it’s about an animal? hehe, Bernie (2011), Catch Me If You Can (2002), Into the Wild (2007), The Elephant Man (1980), Testament of Youth (2014). And I’m a sucker for biographical football movies like Rudy, Radio, Remember the Titans, and The Blind Side.. Loved all of them. You mentioned liking “The Theory of Everything.” Have you seen “The Danish Girl?” It features another great performance by Eddie Redmayne, and is probably the sexiest movie of 2015. I haven’t seen The Danish Girl but someone who knows me keeps telling me to watch it. Just by the trailer I can tell that Redmayne’s acting is pretty amazing once again. And since you’re into baseball, I recommend “The Battered Bastards of Baseball”. It’s on netflix. Finally, and still speaking about biopics… I saw “The Lost Honour of Christopher Jefferies” on netflix yesterday and it was pretty good. Quite fascinating and eye-opening.